Notes: Turner B3. 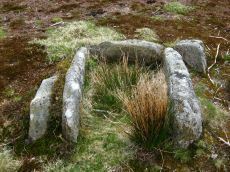 "Cairn, to the south-west of (a) - (SX 67 NE45), 15 ft. diameter and 3 ft high; comprised of small stones overgrown with gorse and heather on unenclosed moorland." Notes: Turner E10. Butler Pizwell Bridge Vol. 1. Map 18.5 (diagram Vol 5. p.171). Grinsell WIDECOMBE 2. Possible central cist. Notes: Butler Cairn 5. 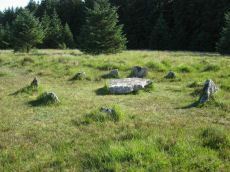 Tuner lists this as G24 Stone Circle. However, it is clear from its size and location near other Ring Settings that it is in fact better described as a Ring Setting despite having no visible internal structure. In these listings we will leave it as a cairn circle. 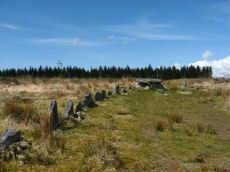 "The cairn is defined by a circle of edge set stones which measure 7.8 metres in diameter and stand up to 0.9 metres high." Lethbridge diagram p.114 and photo top p.117. Notes: Turner E16. 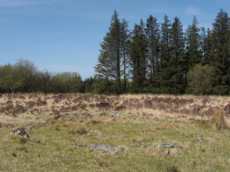 "Ring cairn. (diam 5.95m, n. End stone heig 0.45m, widt 1.0m, thic 0.2m) marked on os 6in map. Included in 1955 spooner/dixon report: (lakehead bellever laughter), site no.10. Site no.10a in bellever plantation, lakehead (with sketch map) in dnp field report (dnp)." Lethbridge diagram p.114 and photo bottom p.114. 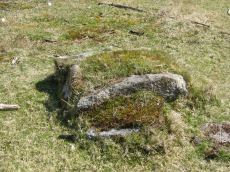 Notes: "A stone alignment and a cairn with cist lying on a gentle slope near the summit of Lakehead Hill. 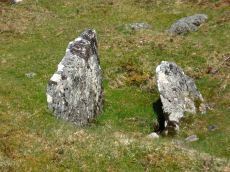 The stone alignment survives as a single row of at least 11 stones leading westward towards the cairn and cist. 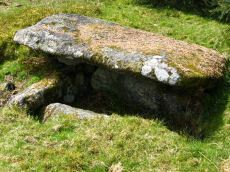 The cairn measures 6.7 metres in diameter and is defined by several edge set stones, which in turn surround a large restored cist formed by five substantial upright slabs supporting a capstone measuring 2.2 metre long by 1.55 metres wide and 0.3 metres thick." (E. Dart). Lethbridge diagram p.114 and photos p.116. Notes: Turner D6. Dixon #68. Bar Rep 55. Butler Lakehead Hill (Cairn 4) - Vol. 2. Map 27.19.4 (diagrams pp.48-52). Grinsell LYDFORD 54. Further coverage on Lakehead Hill page. 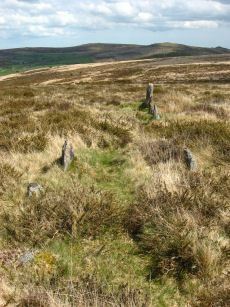 A single stone row of at least 11 stones leading westward towards the cairn and cist. 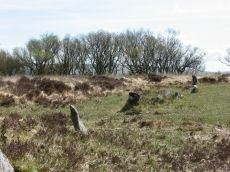 "The cairn measures 6.7 metres in diameter and is defined by several edge set stones, which in turn surround a large restored cist formed by five substantial upright slabs supporting a capstone measuring 2.2 metre long by 1.55 metres wide and 0.3 metres thick." Lethbridge diagram p.114 and photo top p.116. Notes: Turner D10. Dixon #64. Bar Rep 54. Butler Lakehead Hill (Cairn 6) - Vol. 2. Map 27.19.6 (diagrams pp.48-52). Grinsell LYDFORD 56. Further coverage on Lakehead Hill page. Lethbridge diagram p.114 and photo bottom p.117. Notes: Dixon #63. Bar Rep 54. 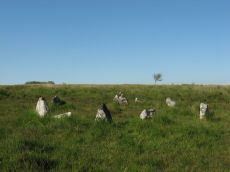 Butler Lakehead Hill (Cairn 7) - Vol. 2. Map 27.19.7 (diagrams pp.48-52). Grinsell LYDFORD 57. Further coverage on Lakehead Hill page. Lethbridge diagram p.114 and photo top p.118. Notes: Dixon #37. Bar Rep 33. Butler Lakehead Hill (Cairn 8) - Vol. 2. Map 27.19.8 (diagrams pp.48-52). Grinsell LYDFORD 58. Further coverage on Lakehead Hill page. Lethbridge diagram p.114 and photo bottom p.118. identified and has probably been destroyed. "(1979) (E. Dart). 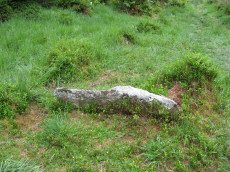 Notes: "A stone alignment lying on a gentle slope near the summit of Lakehead Hill. 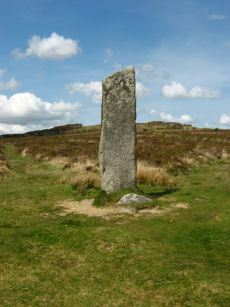 It includes a 22 metre long, single row of at least 12 stones standing up to 0.75 metres high, aligned east to west." (E. Dart). Lethbridge diagram p.114 and photo bottom p.115. Notes: Dixon #67. Bar Rep 55. Butler Lakehead Hill - Vol. 2. Map 27.19.9 (diagrams pp.48-52). Grinsell LYDFORD 51. Further coverage on Lakehead Hill page.